Rise of the Tomb Raider was finally released on PC a few days ago and we just had the time to capture some 1080p/60fps footage for you guys. The game is maxed out, except for textures as they require a 6 Go GPU with the very high setting. We also couldn't go above SMAA without hitting the framerate, but if Miguel gets his copy next week and can do better, we'll post more videos eventually. We had a great time playing Rise of the Tomb Raider. It's a solid sequel of an already quite good title, and the new gameplay features help to alleviate the feeling that it's just more of the same with different environments. It took us around 15 hours to complete the with a 73% completion rate, with many things left to do in the open world zones. The PC version offers a lot of different graphical options to choose from, which allows to adapt the game's visuals to a large range of rigs, but the game remains quite demanding even with an SLI of 970s. The SLI profile might be to blame of course, but we've had to make a few compromises to run the game smoothly (and we still saw a few drops here and there). Other than that, it's a real pleasure to play the game again with better framerate and visual quality. Hands down the best looking game this generation on ANY platform. How will this run on a 4790K and a single GTX 980(NOT TI)? I was wondering when you were going to make some videos for this. I guess you have been pretty busy with other stuff. Is aliasing still visible with smaa? Good question, and one I'm interested in. Would be nice if Drift or Miguel could try different settings on the Nvidia Control Panel - no need to post videos - just to give some feedback. Unfortunately, the Digital Foundry article (link below) on the PC version of RotTR only mentions anti-aliasing twice, once to say it's there as an option and another to say that there's 2 levels of super-sampling anti-aliasing, and that's it. Either way, the game looks fantastic even on Xbox 360, Nixxes did an excellent work on the ports. Also of note is the fact that Crystal Dynamics did a superb job on the Xbox One version, it's not perfect, but I believe they truly pushed the Xbox One hardware to the limit. Which shows how much potential Xbox One games in the future have of looking as great or even better. 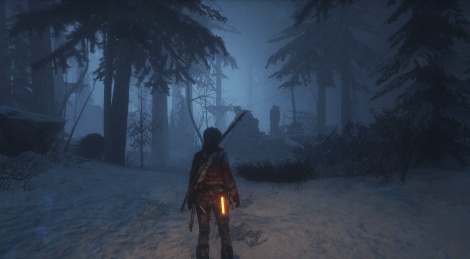 No matter which version someone chooses to play, RotTR is a brilliant game worth playing. Check the videos for aliasing, it's not that bad, but when there is sun and trees, I don't really like what I'm seeing. Too bad I still prefer the original TR games to the reboot. Well that's just, like your opinion, man. I don't agree with him.. but it's definitely not Killzone. He said any platform. The game is hands down of the prettiest I've seen lately, last one being Mad Max. They use some noise filter and motion blur that are actually quite good and give that prerendered CGI feeling. Actually I was surprised when the cutscene after prologue level started and it looked prerendered but FPS counter said 60 and there definitely were no compression artifacts. I think this game would benefit greatly from displays with resolution above 1080p - on maximum settings there are lots of small details on Lara's model and enviroment that you can only see up close if you fiddle with the camera. Pretty impressive lighting and shadowing there. Well of course the PC versions of console game look better. "except for textures as they require a 6 Go GPU with the very high setting"
So Very High textures require 6GB VRAM? That's a bit much. Care to name your title? I guess Witcher 3 on PC at 144hz 1440p and all is a site to behold too. Not if they are very hq. Looks kinda ruff around the edges, I hope thats just due to compression in the vid or is the aliasing that bad? If anything, compression would make the aliasing less visible I think. It looks like that when playing with SMAA on, hence what I say in the news article. Have you downloaded the videos by the way? The biggest question for me is should i get the game and the season pass? Loved the first one and i want more from this one as content comes out. They are not running realtime at these settings, but it is all straight from the game engine and not altered in any way. Uncharted 4, The Last of Us, and The Witcher 3 says "Hi." In-game SMAA is not working very well - to say at least. 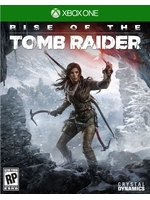 How much part of the games is actual tomb raiding? Can you avoid most gun fights and go stealthy instead like in the videos posted? Mirror's edge, Ryse, Crysis 3 and even the original Crysis looks much better. Are you trying to support his argument?